Although I have been intrigued by psychology for various years and have studied it academically, it was only about three years ago when I first encountered logotherapy. Yet Viktor Frankl’s theory turns out to be the most fascinating and effective form of therapy. Hearing Alfried Längle, the main voice and spokesperson of current logotherapy practice, talk about his views on various topics and issues has been both a constant source of pleasure as well as a learning experience for me. 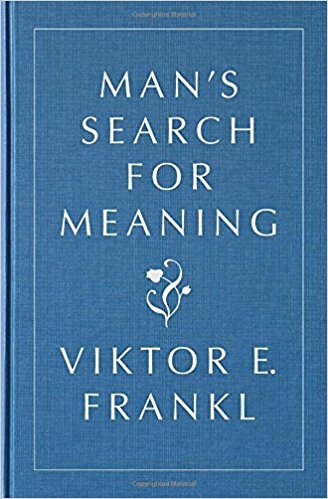 I was so impressed by his lectures that I finally decided to read the quintessential work Man’s Search for Meaning by the founder of logotherapy Viktor E. Frankl. Logotherapy, as the English title of the book underscores, is about finding personal meaning in one’s life. This form of therapy is surprisingly open-minded and open-ended as it is not limited or restricted by specific dogma. There are no pre-conceived sets of meaning and no right answers. While psychoanalysis as a form of depth psychology is focused on digging up the past to make sense of the present and thereby manages to shed light upon the present states and formation of neurosis, logotherapy is more interested in ensuring that the person finds meaning in their lives both in the present and beyond. a) One can find meaning and vocation by a work or by doing a deed. This may be having a job that fulfills our sense of mission in life or be a spokesperson or activist regarding an issue that is close to our heart. b) One can experience something or encounter someone that has deep meaning to the individual. This can be profound experiences ranging from religious beliefs and convictions to falling in love with someone special and unique. It can also be having and being devoted to a family one loves and supports with all one’s heart. c) One can find meaning by one’s attitude towards unavoidable suffering. In this case, one encounters suffering but instead of resigning and giving up or escaping it through different protective mechanisms, such as substance abuse or avoidance, one decides to face the suffering head-on. Now of course, Frankl makes it clear that one should not seek out suffering per se since that would be merely masochistic. But if one is faced with intense suffering, one should retain personal responsibility and not lose sight of one’s freedom and will in the process. Considering Frankl’s own harrowing and unspeakable personal suffering as a prisoner at concentration camps and his loss of various friends and family members, all of which is detailed in the first half of the book, this viewpoint becomes much more poignant and relevant. Frankl himself claims that even in the most abject and horrendous of conditions, one has control over one’s attitude towards the situation. There are parts of our lives we cannot control. Life or fate may deal us bad cards, but whatever this may be, one needs to face those challenges directly and not let them distort or affect one’s personal responsibility and freedom of choice. This may sound quite stoic in nature, but I think he takes it a step further though. When Frankl was facing the worst of human nature, he claimed that many gave up and either committed suicide or allowed their bodies and minds be ravaged by disease and death. There were far too many who were not given a choice at all as they were killed, but even then, there was a manner of facing their imminent deaths that would make them beyond heroic as they “entered those gas chambers upright, with the Lord’s Prayer or the Shema Yisrael” on their lips. In other words, although by all accounts and purposes, their death would seem futile and in vain, some would still find a sense of meaning in their unfortunate lives and their ensuing deaths. As I was reading Frankl’s account, I was reminded of what Nelson Mandela had once said regarding his sense of freedom. Mandela claimed that although they could physically lock him up and even torture him, there was a part of him that the oppressors could never reach or alter, the feeling of freedom and justice he carried deep inside, his personal convictions. It is easier said than done and rather idealistic one could say. Others state and have even demonstrated that one is shaped by one’s environment and that such atrocious conditions only breed hatred and contempt and bring out the worst in human nature as evidenced in studies in social psychology by Stanley Milgram and Philip Zimbardo. And in many or most cases, this may be true. But the fact that there are exceptions shows that it is at least possible that humanity has a core that is unconditionally good and even untouched by and above the worst of external circumstances. It is within this context of personal experience that logotherapy gains its weight and impact. Frankl says that in such a desolate and godforsaken place, there were still glimmers of hope and decency. It was especially in the direst of situations where the value and importance of art and natural beauty came to the forefront. According to Frankl and contrary to common sense and knowledge, those who appear physically the strongest were usually the ones to give up first, while those who seemed frail and weak were more likely to survive those harsh conditions. The latter despite their appearance tended to have a richer inner life. The dreamers, those with a rich imagination, had recourse to an inner world filled with images, sensations and vivid memories from the past and this fostered them with a sense of hope making them capable of resisting and surviving the hideous reality in front of their eyes. This strength of imagination aligned with a strong purpose in life helped many of them get through the worst kinds of suffering and to see past and through the injustices occurring to them on a moment-to-moment basis. Moreover, Frankl makes a point of distinguishing between personal and collective guilt. In fact, Frankl claims that there are essentially two categories of people; those who were decent and those who were not. There were many people committing atrocities in the concentration camps, but there were also some who were trying to help as best as they could. There were some commanding officers who went out of their way and even risked their lives to provide medication for the prisoners; at the same time, there were those dreaded Capos, prisoners themselves who for a bit of privilege in the form of extra rations of bread or cigarettes mistreated and abused their fellow inmates. What it comes down to, and this is a general and dangerous fallacy, one should not collectively blame groups of people. This is a dangerous source of prejudice and racism. Whatever wrong your ancestors have done should not automatically reflect on yourself. Everyone should deal with their own personal guilt, meaning one’s misguided actions that were within one’s grasp and control. However, even in that case, there may be at times accentuating circumstances where one wished to help people in plight but was afraid of risking one’s own life. In that sense, action would have indeed been heroic and rare, since most of us would choose safety over risk and danger. That is not to say that there are no evil people in the world. One only needs to turn on the news to see atrocities occurring everywhere. One will encounter people with evil schemes and intention anywhere and may be even wronged and harmed by some of them on different occasions, but most of these people may be acting so because they carry an existential vacuum deep inside of them. In fact, people who have a strong sense of responsibility towards themselves will generally not act irresponsibly towards others. In most cases, those who hurt have been or are hurt themselves in one way or another. This is quite apparent in recent studies of bullying, where the bullies often vie for social approval or rebel against pain and suffering they endure or have been enduring. But logotherapy sees a remedy for it all. The first step would be to take control and responsibility of one’s actions. That of course presupposes a belief in free will and although psychotherapists in this field are aware of biological / genetic constraints and restrictions, they still believe in moral freedom and choice. There is a voice of conscience in every individual, no matter how small or neglected it may be. This, in turn, makes logotherapy optimistic but not naïve. It is optimistic because it believes that any person is capable of change for the better, including criminals and evil-doers. But that decision must come from and be made by the individual themselves since no one can make you better except you yourself. Without that will and intention, any intervention or therapy would be futile. No matter how much we want to help people we care about, it won’t happen until they seek help themselves or are ready to be helped. Logotherapy also does not take a rosy-colored view on human nature. It took Frankl to see the worst in human nature to also appreciate its best. All it comes down to is personal choice. His mission as a psychotherapist is not to provide you or fill your life with meaning but to help you define and find your own sense of meaning. One can sense the existential influence here in that there is no clear-cut answer or set meaning to our lives. One must both define oneself and find one’s vocation and place in life. Once one finds balance and does what one is meant to do, then one has peace of mind. For those confronted with tragedy, it would take a strong shift in will to turn it into something positive. We see it with people who accept their personal suffering and triumph by transcending it and turning it into a work of art, an exemplary life or a life filled with fruitful deeds. As such, Frankl turned his own traumatic past experiences into a beautiful and transcending form of psychotherapy.